Elephant Man is dishing some hot tea about his current rival Beenie Man. The ‘Energy Gad’ continues his feud with the veteran entertainer with the release of his latest track “Yuh Too Lie” produced by Locke City Music Group. 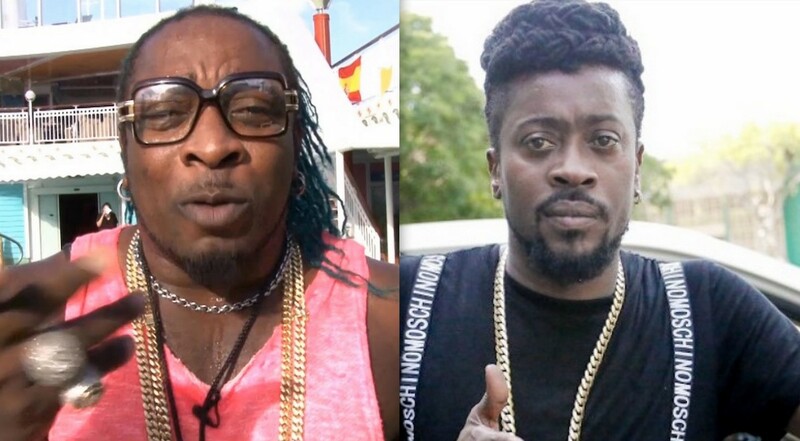 “I never know seh one line could a cause so much problem bwoii,” Beenie Man can be heard saying in the introduction before making fun of Elephant Man’s speech defect. “Ding tek weh yuh light fi dat yuh shame / man a roses fi life this ain’t no game / (irrelevant man) yuh house look like yuh hairstyle / Mr fake jewellery and Mr fake smile / yuh career wan fix up like outta three mile,” Beenie Man spits over the beat. Elephant Man is now hitting back saying Beenie Man has been lying to Dancehall fans over the years. According to him, the Doc doesn’t own a house and recently got evicted from an apartment in Kingston. “Yuh nuh tell Winford seh yuh own visa, when lass yuh tek a US fly?/ Yuh seh mi house addi colour a mi hair but mi addi owner / why dem fling yuh outta the apartment up a Mona / seh money stack and pile, that is just another lie / yuh deven rich like Donia,” Elephant Man deejay. “Mi send Ding guh do the dancing, mi guh do the killing / Ask the streets dem wi tell yuh who bill him / mi happy fi the success but it coming like yuh obsess,” he continues. Stream Elephant Man “Yuh Too Lie” Beenie Man diss track below.